Will PaidViewpoint Scam You? Nope! If you’ve been considering signing up to this company, but worried will PaidViewpoint scam me? you have nothing to be concerned about. I have been a member of this company for several years, so I have a pretty good idea how they operate. Usually my feelings on survey companies aren’t so positive, but, if given the choice, I’d actually recommend this over most other survey sites. They were founded on 4 principles – every survey pays cash, they don’t screen you out, they make their surveys interesting and they maintain your privacy – all of which are true. Note – this company will NOT make you rich, or even earn you very much money. In fact, it will probably take awhile to reach the $15 minimum payment. There are much better ways to earn money online, you can see my #1 recommendation here. Usually online survey sites are extremely messy – there’s a million things to do and it can be difficult to know where to start. Not PaidViewpoint! It has a very sleek and clean feel to it, and it’s easy to navigate. This makes the process smoother and taking surveys easier. They don’t prompt you to sign up for other survey companies, nor do they distract you with other paid to do tasks like watching videos, viewing ads, playing games or anything else that takes up your entire day. One of the downsides of online surveys is often times you’ll find yourself either getting kicked out, or having to take a prescreening survey before you can take the actual survey! Not only does this happen, it happens the majority of the time… at least to me. PaidViewpoint always lets you take and get paid for surveys it invites you too, which is a huge bonus. You can take a quick and painless 1 or 2 minute survey and know you’ll get that money deposited into your earnings. With other companies you can get kicked out of survey after survey, wasting so much time and getting paid absolutely nothing. Another great thing is their surveys are short and to the point. Most of the surveys I’ve done with them have only taken one or two minutes, and I have immediately seen the earnings deposited into my balance. I usually get about 10 cents per survey. It isn’t much but it’s consistent and they don’t play tricks. Of course they have longer more in depth surveys, but they’re less frequent and they do pay more than 10 cents. I love that their surveys earn you cash, which they deposit straight into your PayPal. This makes getting paid fast and direct. There’s also something better about earning actual cash that can be used to pay bills or for whatever you want, rather than getting paid in gift cards. Gift cards can sometimes be a nice reward, but they will never beat actual money. This one is a huge plus. Most survey companies ask you so much personal information and turn around and sell it to other companies. PVP doesn’t do that – they actually don’t even ask for your home address or real name. The most personal thing they need is a phone number to verify your account (to make sure your aren’t creating duplicate accounts) but they have never once contacted me. Now this company is not 100% perfect, and many people have complained about them. Don’t send out enough surveys – some users complain they only receive surveys once a month, or less. In my experience, I get at least one survey per day. This can vary depending on your trait score, which increases the more surveys you take and the more honest you are in answering the questions. They can tell if you’re being honest (or at least consistent) if your survey responses correlate with your demographic profile, and if you don’t change the way you answer questions from survey to survey. Too difficult to reach minimum cash out – this is a legitimate concern. Many of their surveys only pay between 3 – 10 cents. Even if you took one once per day it’d take you a very long time to earn the $15 cash out amount. However you get higher paying surveys once you increase your trait score, and you can also earn from referring others – they’ll give you 20% of their earnings (up to $25 each). Still, I do have to agree – despite all the positives this company would get a higher rating if they either lowered their cash out amount or got rid of it all together. Even if they set it at $5, that would be a major improvement and make it much easier and faster for people to get payments. Final verdict – Why would I actually recommend PaidViewpoint? All in all, I have to hand it to this company – they are one of the best online survey companies I have encountered. Their survey process is clean and simple, they don’t kick you out of surveys, and the surveys are, for the most part, very short. In addition, a lot of survey sites will sell your information and you’ll get spam up the wazoo, but this doesn’t seem to be an issue with them, at least not in my experience. That being said, it isn’t really for everybody. Remember this isn’t going to replace a job, nor is it even going to provide you with a steady part time income. But, if you really are interested in surveys it is one to check out. You may get a few bucks here and there, but nothing substantial. It is pretty simple to sign up and test it out, so if you are looking for another survey option – check them out. For anyone looking for a more substantial income online, I recommend checking out this company. They teach you how to build a business online from scratch, and turn it into a sustainable source of income. It’s entirely free to join and poke around, so there’s no risk to you. What has your experience been with PaidViewpoint, or any other survey companies? It is always good to get the full run down about whether or not a program or package for earning money is any good. I have heard a lot about making money online by doing surveys but have never come across a company that had a reasonable system in place to do them. Nice to hear that you have found one that is worth doing for a little extra cash. Yeah, definitely. 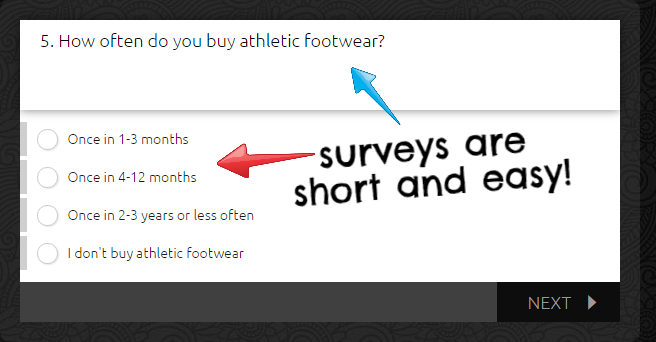 The survey industry is horrible so it’s a nice change from the norm. I appreciate the straightforward honesty in your article. I have come across several survey sites, and even sighed up for quite a few and as you mentioned, sometimes it can take a while to achieve the minimum payout amount. I am actually engaged with 1 survey company, and I probably spend a great amount of time just qualifying for surveys, so I appreciate that you highlighted the fact that you get paid for every survey that you start. I may take a good look at Viewpoints to earn some extra cash in my spare time with a realistic expectation, that I won’t get rich – but may be able to splurge on a little something extra from time to time. Thanks for your opinion on Viewpoint. No problem! Yeah I know how frustrating it can be to try and qualify for surveys which is a huge reason I stopped taking them with most companies. Enjoyed reading your content about paid view point. Glad to see it is not a scam! Might have to check it out. Know it won’t make you rich but it’s good for savings. Any money is better than no money! 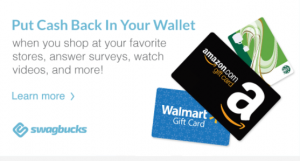 Finally, a survey company that appears to be honest about what you can earn and does pay out! I totally ehar you about getting screened out part of the way through, and left wondering if they’ve dangles a carrot to get some answers out of you for free, which they go on to use for their own benefit. I like your honesty here about the cash out level and the fact it’s not a high earner. 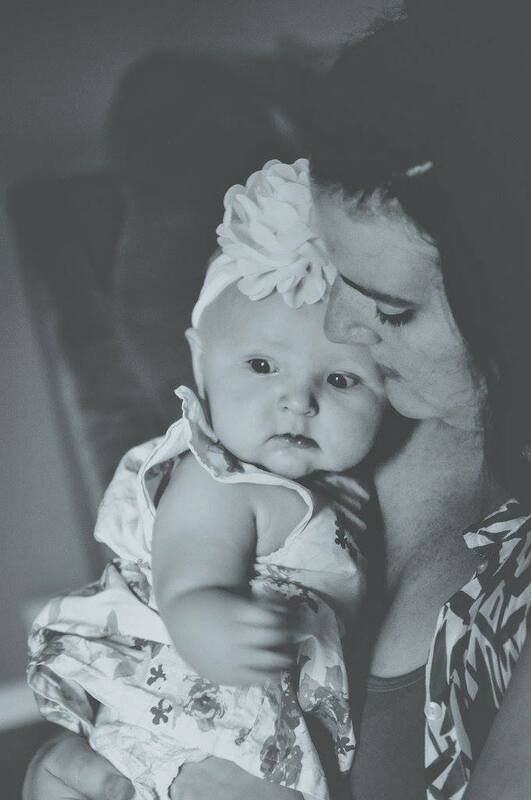 looking at it though, I think it could be a good option for some stay-at-home moms who have a few spare minutes here and there (while baby’s sleeping) to earn some extra money. Would you agree that’s realistic? Thanks for sharing this, as I thought all survey companies were a waste of time! Yeah it’s realistic, it just depends what you expect out of it. Realistically I think you could except $15 every 6 months or year, depending on how many surveys they sent. Maybe more if you invited a lot of people to join and they all took surveys and cashed out as well (because you get a % of their payments). But you’d have to have A LOT of people or at least very active recruits to make more money that way. Thank you for your honest assessment of this site, as well as the very notion of what a person could expect participating in ANY survey site as a member. You stated up front that being a member of the Paidviewpoint, one should never be consider it to be equitable to full-time job. The money simply will not be there. So many people get suckered into the belief- based on scam survey sites that you can earn thousands of dollars weekly simply by doing surveys. A grotesque lie! Based on your review it now presents to me at least the second site that I know of which will not disqualify you once you begin a survey. 99 % of all other sites have the nasty rule in place that because a member does not fit the demographic called for by that specific survey, unexpectedly based on his/her early answers to questions soon he/she could get disqualified 10 minutes after starting. Yougov is the only other site that has this non-disqualification procedure with every one of their surveys. I still occasionally do surveys, focusing instead most of my daily efforts on my WA business. As you call this site the best overall that you’re aware of I might take a look at it anyway. Well honestly I think if PaidViewPoint starts making you take a survey and they realize you don’t exactly qualify, they will just end it and say you earned 10 cents , or whatever amount (usually 10 cents minimum). I had them email me and say I qualified for a survey that would paid $1.60, but when I started taking it they asked me literally 1 question and said “thank you, you’re done!” and I earned 10 cents. I think there is maybe the potential to earn more if you give them the answers they are looking for, but at least they always award you with something. Which… if you are familiar with the way other companies operate this is great because I’ve definitely taken 15, 20 , 30 minute “qualifying surveys” and been kicked out! That is totally a waste of time. I really do not focus on surveys either, I just wanted to point out this website because it isn’t bad as far as survey sites go. Some people genuinely enjoy these things as a past time and there is no harm in that. Interesting article on Paid View Point. If there is no monetary outlay, I guess it won’t be able to scam you. Are there different paid levels of membership or add-ons that you can opt in for after joining? Sounds more like a hobby than a way to make some serious cash. Thanks for your comprehensive review! Nope it is 100% free all the way, there is no paid membership option. It is definitely more like a hobby, you’ll never earn anything remotely substantial with it. Hi Crystal, I am not sure! I tried scanning their FAQs but didn’t see anything about what countries weren’t allowed. You would need to try signing up to find out, I am pretty sure all you need is a PayPal account for them to pay you with. Hi Wendy. Is this company available to people in Jamaica? I’m not sure was the rules are for what countries are allowed, you could always try registering and see. I think you just need to have a PayPal account. Hi Wendy, thanks for this very interesting and comprehensive article. You’ve piqued my curiosity, I’m tempted to try out this company after your review, so I may just click on your affiliate link and do just that. Just one question, when you say it takes long to get to the $15 cash-out, do you mean days, weeks or months? Can you access more than one survey a day? Probably months.. several months. It normally gives me about 1 survey per day, but some days I don’t get any. 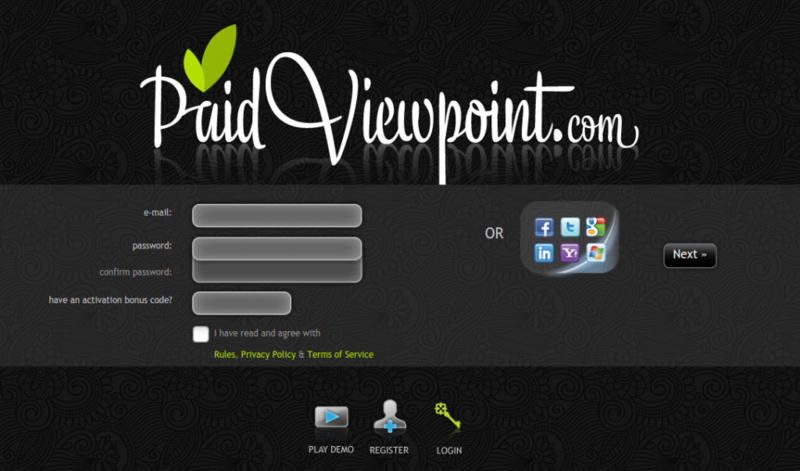 Paid View Point seems like a legitimate company that will actually pay me when I am done working. My question is this, is it really worth my time? I see you mention that the surveys usually take a few minutes. Anyway, very detailed and informative post you put together. Honestly probably not.. it really depends. I mean, as far as survey companys go, PVP is a good one that is relatively painless and hassle free, but it still takes forever to earn enough to cash out. Thank you for your review. I admit I dint have the patience for these paid survey sites and it seems to require a lot of time for little payoff. But it is good to know this is not a scam. 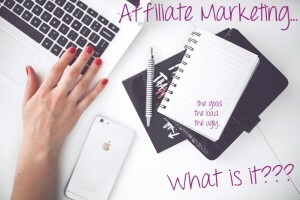 As for Wealthy Affiliate, I think it is great! I have learned so much and really appreciate the education available. The community is great and very helpful. WIth so many bad online survey sites, I’m glad you did a review on this site. Usually when I join a survey site, I find myself being forwarded to a bunch of other survey sites, and before I know it, my personal info is all over the place. One thing that helped me though was that I created a “Spam” email address. You’re right, surveys won’t make you rich, but if you’re bored, might as well make some cash while you figure out what you want to do next, right?